Russell James Ford died unexpectedly in Dahlonega, GA on April 1st, 2018 at the age of 21. He is preceded in death by his maternal grandmother, Beatrice Wall and his paternal grandparents, John and Patricia Ford. Russell was born on May 31st, 1996 in Fond du Lac, WI. He lived in Fond du Lac as well as Riverview, FL before moving to Dahlonega, GA in 2008. Russell graduated from Lumpkin County High School. He loved the outdoors and spent a great deal of time in the forests of Northern Wisconsin. He was an avid woodworker and self-taught auto repairman. He read extensively and acquired an eclectic library in a very short time. He always loved animals and volunteered at the local animal shelter. There will be a memorial service led by Fr. Tim Kitzke on April 7th, 2018 at 12:00 pm in Milwaukee, WI at St. Hedwig-Three Holy Women Catholic Parish, 1702 N. Humboldt Ave., Milwaukee, WI 53202. 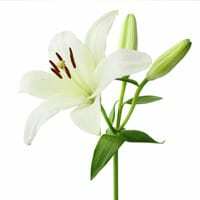 A Funeral service is scheduled for April 12th, 2018 at 11:00am at St. Luke’s Roman Catholic Church, Dahlonega, GA 30533. Fr. John Matejek will lead the service. A small reception will follow in the parish hall. In lieu of flowers, donations to the TLC Humane Society, 17 Red Oak Flats Road, Dahlonega, GA 30533 would be appreciated.